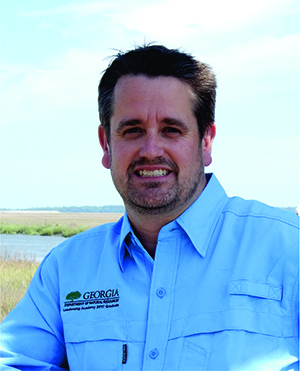 Coastal Resources Division Director Doug Haymans recently announced the selection of Karl Burgess as the Division’s first Assistant Director. Karl has been with CRD since 2002, serving first as associate permit coordinator, then coordinator, and since 2007 the Program Manager for the Marsh and Shore Management Program (MSMP). “Karl is a proven team leader and critical thinker with a vast expanse of experience dealing with constituents at all levels,” commented Haymans. As Karl is stepping out of his role as program manager and into that of an Assistant Director, he will continue to work very closely with the MSMP through the transition. In his new position Karl will supervise Administration and Outreach and Communications staff while continuing to work on key permitting issues.